Auroracoin, AUR, was created on May 10th, 2016 and runs without the need of a single administration, such as a central bank. It is a mineable crypto-currency, using the Scrypt, SHA-256, Skein algorithm and the Proof of Work and Proof of Stake (Pow/Pos) consensus. We have made a calculator for Auroracoin, to help estimate the profitability of mining the coin. We have built a mining calculator widget, which you can use on your website or blog. Auroracoin are on social media sites such as Twitter, Facebook and Reddit, so check them out to keep up to date with the latest news. We don't have any cloud miners listed for Auroracoin yet, check back soon! We don't have any exchanges listed for Auroracoin yet, check back soon! Need some more options and settings for a more accurate calculation? Visit our full auroracoin mining calculator. 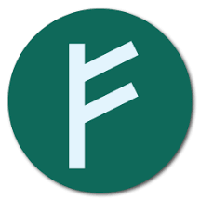 We don't have any wallets listed for Auroracoin yet, check back soon! We don't have any debit cards listed for Auroracoin (AUR) yet, check back soon! We don't have any price charts listed for Auroracoin yet, check back soon!